For many people, getting that particular call where they find out their loved one or friend or family member was arrested could be overwhelming and quite scary, they can get very concerned, panic or feel embarrassed about having to take care of such annoying and sad process. All they want is to get that particular person out of jail as fast as they can since we all know being in jail can be a quite unpleasant experience for many reasons. At Angel Bail Bonds we realize how difficult it is to be under this stressful situation. We aim for a better bail bond understanding, so we have prepared a list of great resources for you to clarify any inquiries and concerns you may have about bail bonds, we want to offer you with all of the information you might need in desperate moments. 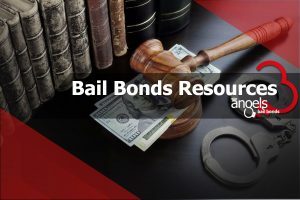 We have prepared an entire blog on Bail Bonds topic, from local news, criminal laws as well as the latest constitution amendments and trials. A complete itemized chart with all the bail prices for the different types of felonies listed in Los Angeles area. A complete itemized chart with all the bail prices for the many types of misdemeanors in Los Angeles area. A full itemized list with all the bail prices for the many types of felonies in Orange County area. A full itemized list with all the bail prices for the different types of misdemeanors in Orange County area. We explain to you in detail two of the most common crimes seen in court that usually require bail bonds. We inform you about white-collar crimes and some of it’s most important types. We tell you exactly what you need to do to get assistance obtaining jail records. The easiest and quickest way to bail someone out of jail, find out following this resource link. Angels Bail Bonds can provide you with free bail information with no commitment; it is our job to keep our clients or future clients well informed, and we are happy to assist you! Find out more about our 100% Money Back Guarantee! Why our staff is the best! Meet our amazing staff, all of them with years of expertise and ready to help! Why our management is the best! Meet our managers and find out how they started Angels Bail Bonds as a company. También ofrecemos nuestros servicios en Español! Comunícate con nosotros y permítenos ayudarte. We bailed out Michael Jackson himself, and we have proof!